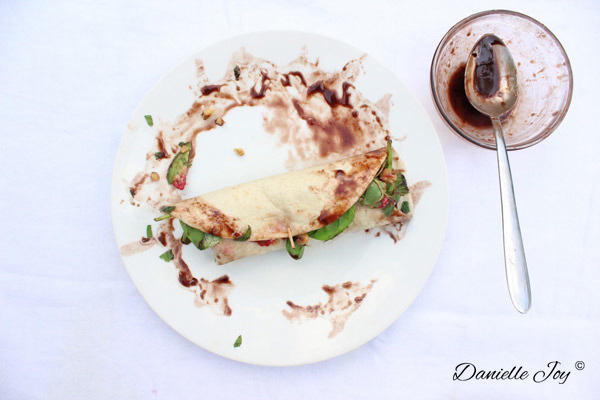 Avocado-Raspberry Wrap with Chocolate Vinaigrette - Your process has a purpose. If you’re like me, you are savoring every bit of summer you can. Summer is my favorite season. The vivid colors, the warm sunshine, and the delicious produce readily available all adds to the joie de vivre. 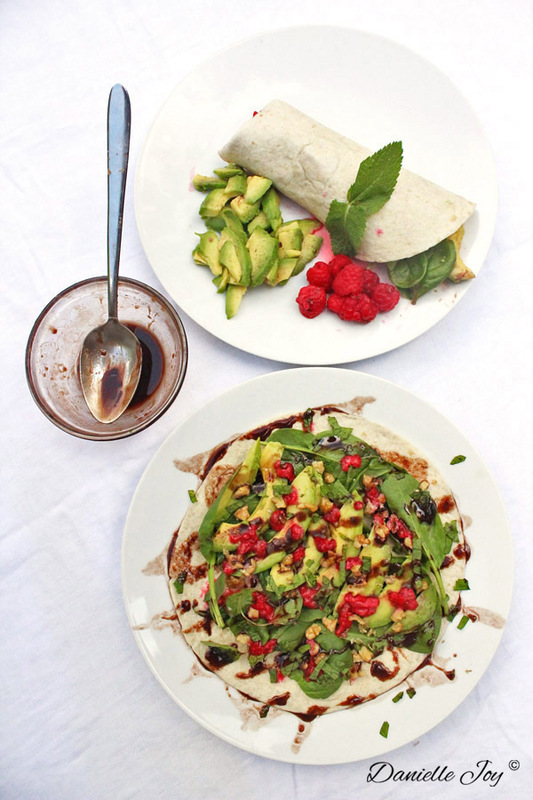 This Avocado-Raspberry Wrap contains walnuts, mint, and spinach. It’s vivid in color, flavor, and joy! Avocados are great for your skin, hair, and nails, and its soft, creamy texture pairs very well with the crunchy walnuts. Spinach is known to contain protein, as well as iron, which is highly important for women. The tangy raspberries, which promote healthy skin and are high in vitamin C, perfectly compliment the sweet chocolate vinaigrette. This anti-aging, mood-boosting wrap is the perfect lunch to enjoy the last bits of summer with! 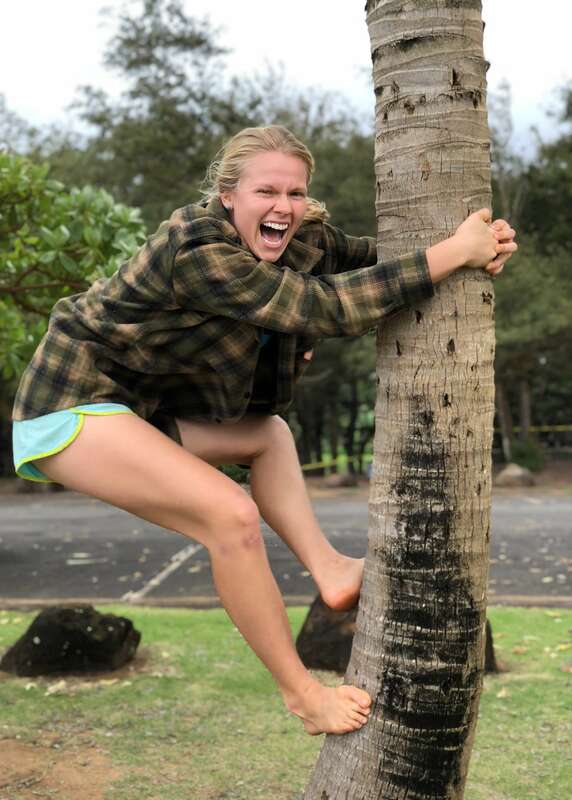 On a side note, it’s October! 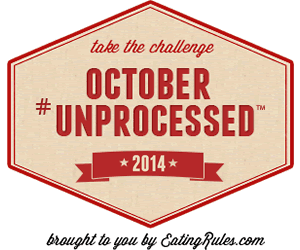 This month, while we are all bombarded with candy, I will be participating in “October Unprocessed 2014” which focuses on promoting unprocessed foods. Stay tuned for unprocessed meals and treats! Make the dressing: Melt the coconut oil and transfer to a bowl. Mix in cacao powder, ACV, and maple syrup. Slice avocados and sprinkle with salt. Layer spinach onto tortilla wrap. Place sliced avocados in the middle of the tortilla wrap. Sprinkle on raspberries, walnuts, and mint.